Are you wondering about Weight Watchers FreeStyle plan? If so, then you are in luck. Find out what's new, what stayed the same and of course all about the much talked about Freestyle zero point foods. There are now over 200 items where you won't have to measure, weigh or track. If you are thinking that you have to re-learn everything about Weight Watchers, don't fret. The biggest change is the zero points items. Another exciting change is the roll over points from one day to the next. These changes give you more freedom and less worry. Many things do remain the same. SmartPoints are still part of the plan. You still earn points for activity and their plan still steers you towards healthier food choices. 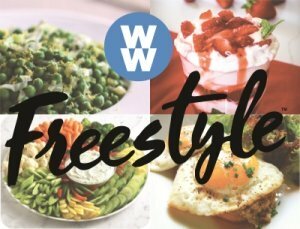 As mentioned earlier, Weight Watchers FreeStyle does have some changes. If you are not big on changes, you might be thinking of just sticking to what you already know and not start Free Styling. Well before you decide, make sure you know all the details, especially the new zero point foods. 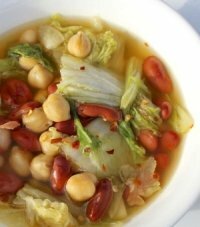 We all know that most fruits and vegetables were zero points on Weight Watchers previous plan. The good new is they still are with a couple of new additions. Sweet corn and peas are now part of the list of foods you don't need to weigh, measure or track. I was super excited about this as sweet corn is one of my favorites. The other exciting change in the WW veggie world is there are now some starchy veggies on the list. This includes beans and lentils. Items like chickpeas, black beans, pinto beans, and more are now zero SmartPoints value. If buying in a canned version, make sure it is not canned with added oils or sugars. If so, you will need to calculate the points based on the nutrition information on the label. If you are not sure, use your WW mobile app and scan the label to find out. While there have been some vegetables added to the zero points list of Weight Watchers Freestyle program, some veggies did not make the list. This includes any dried vegetables. That's because these are more of a "snack" item and can easily be overeaten. So track your points for these. The same is true for potatoes. These didn't make the list as it is too easy to over consume this food. Never before has Weight Watchers included any meats on their list of free foods. So this change is one of the biggest and one of the ones people are raving about. Not all lean meats made the list, but what did make it is chicken and turkey. With the Weight Watchers FreeStyle plan you can now have lean chicken and turkey breast. It must be skinless in order for it to count as zero points on Weight Watchers FreeStyle plan. Lean chicken breast and turkey breast thinly sliced deli meats are also have zero value on the points list. You can now have ground lean turkey and ground lean chicken freely as they are also on the list. If you use these items in a recipe, the WW recipe calculator automatically uses the zero points value for these foods. If you calculate the points yourself, just be sure to remove the nutrition value for the chicken or turkey. Not all lean meats made the Freestyle list. This includes lean pork and beef. The reason for this is that a healthy diet recommends limiting the amount of red meats consumed in a week. Since the WW freestyle wants to encourage a healthy diet, the red meats have a points value and need to be tracked. Additionally dried meats (like for jerky) are not free. Because they are considered a snack food, which can be overeaten more easily, they are off the Weight Watchers Freestyle list. All fish and seafood also made Weight Watchers FreeStyle list of zero smart points. 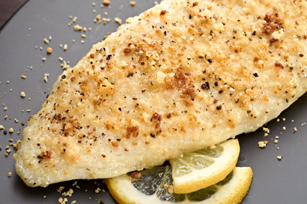 Although some fish and seafood are high in fats, Weight Watchers added them to the list. The reason for this is primarily because a healthy diet encourages consumption of fish and seafood for the beneficial nutrients. Be careful when buying items already canned. Make sure there are no added oils. You want to look for the fish packed in water and not oil. If you have the Weight Watchers mobile app you can always scan the label to verify if the points are zero or not. Even though all fish and seafood are on the list, there are stipulations. Like mentioned in the section, canned versions cannot be packed in oil. Similar to the dried meats, dried fish is also not zero points. However, smoked fish is okay. Same with smoked chicken and turkey breasts. There is not much to talk about in this category. In the previous plan the fruits (with a few exceptions) were zero points. On the new Freestyle program they are still zero points. Just like with canned veggies, make sure there are no added oils or sugars. There are a couple of things worth mentioning. Avocados and plantains are not on the Weight Watchers Freestyle zero points list. This is not a new thing but just wanted to restate it for this plan. The other thing I want to talk about is smoothies. Even if a smoothie is made with nothing but foods on the list, the SmartPoints still need to be calculated. The reason for this is that in a liquid form, you can consume more of the fruits and yogurt without the feeling of being full. For this reason, you need to track the points. Other foods that are part of the Freestyle list include eggs, nonfat plain yogurt (both regular and Greek), tofu and Quorn, a meat substitute. As with the other new foods, these were added to the list for one or several reasons. These reasons include promoting healthy eating, nutritional benefits and tend to be eaten in moderation. When grabbing a yogurt off the shelf, be sure it meets WW guidelines for this freebie. It must be plain (unsweetened) and must be nonfat. If it only low fat or is sweetened, you have to calculate and track the points. Items like nonfat cottage cheese (or other nonfat soft cheeses) didn't make the list even though it is similar to the yogurt. One reason is they can be higher in calories. The other reason is that people tend to consume more of these foods than yogurt. While the new zero points foods are the biggest change, there are others that help you reach your weight loss goals. Your daily points that you don't use will now rollover into the next day (up to 4 points). This continues during the week allowing the rollover to go from one day to the next. At the end of the week, any of these rolled over points you don't use go away. They are not rolled into the next week. This allows you to bank these points into your extras (along with the weekly points) so that if needed for a certain day, they are there for you to use. One change that may have your grumbling is that you will have fewer daily points to work with. The reason for the reduced daily points is because of the many Weight Watchers Freestyle zero point foods. The calculation for your daily allowance will still be based on your age, height, weight and gender. You will get this number from your Weight Watchers leader or WW online. Your FitPoints goal may change on the freestyle program. In the past, the method of which goals were determined had people earning fitpoints at different rates. That's because some people used an activity monitor and others just tracked scheduled exercises. In order to even this out, the fit points are now adding 3,000 steps to everyone's fitness goals. This will allow everyone to be at the same starting point and to earn FitPoints at the same level. The calculation for FitPoints remains the same regardless of if you use a monitor or use the pocket guide. As for being able to swap your fitness points, this is still the same. If you want to swap them for food you can. If you prefer not to use them that's okay too. The choice is up to you. I've gone over the new things, and it may seem like it's a lot (and a bit overwhelming), but the good news is that not everything changed. Some key things remain the same. One of these being the SmartPoints. Weight Watchers Freestyle program uses the SmartPoints at the core of their system. The success of this plan is the reason this tracking method remains in tact. The calculation for this remains the same as in the prior plan. That means the same nutritional values (calories, saturated fats, sugar and protein) are used to determine the values. This is good news if you have favorite foods you consume frequently. It means you don't need to re-calculate the value. Of course if it's one of the new "freebies" all the better. Additionally you will not need to adjust the points for your recipes unless it has one of the FreeStyle zero points foods. Activity remains part of the program. 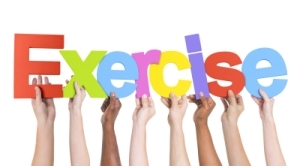 WW encourages you to be active and gives you a fitness goal for the week. The calculation remains the same. The only difference is that each person's goal starts out with 3,000 steps. Other things that remain the same are tracking. You still need to weigh, measure and track on the Weight Watchers freestyle plan. But only those foods that are not on the freebies list. You still get a daily and weekly allowance to be used for your food items. You can still swap fit points to go towards foods, or you can select not to use them. As you can see, the core of their system remains in tact. The biggest changes are the zero points food list and the daily allowance you receive. If you are ready to make the change, then get going and start free styling. Find out why these new freebies were added on the zero points food list with the Freestyle plan. You've heard all about the new list, now see for yourself what foods are on it. This is not your typical Sunday breakfast French Toast. This recipe uses banana bread as the source for this yummy idea. Here's a site that has a printable zero point food list you can place on your fridge.